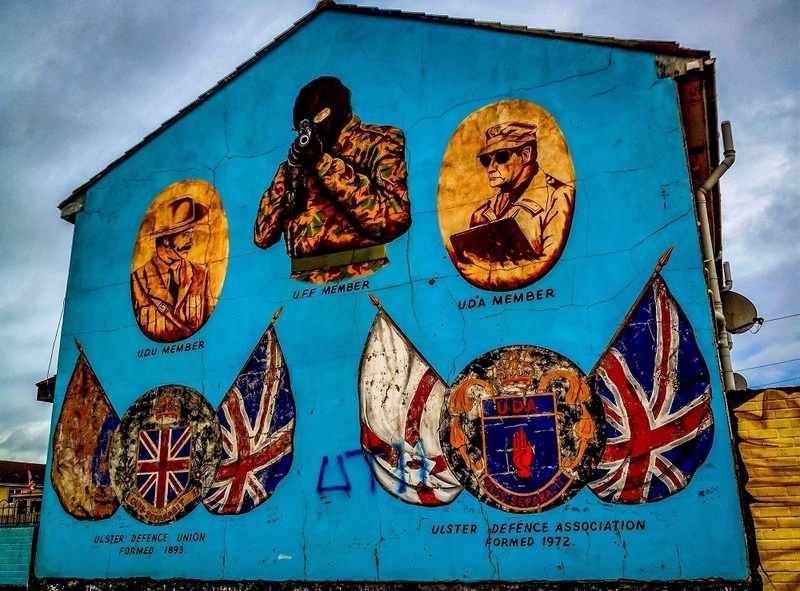 “One man’s terrorist is another man’s freedom fighter,” began our black cab tour of the famous Belfast murals that chronicle the Troubles. 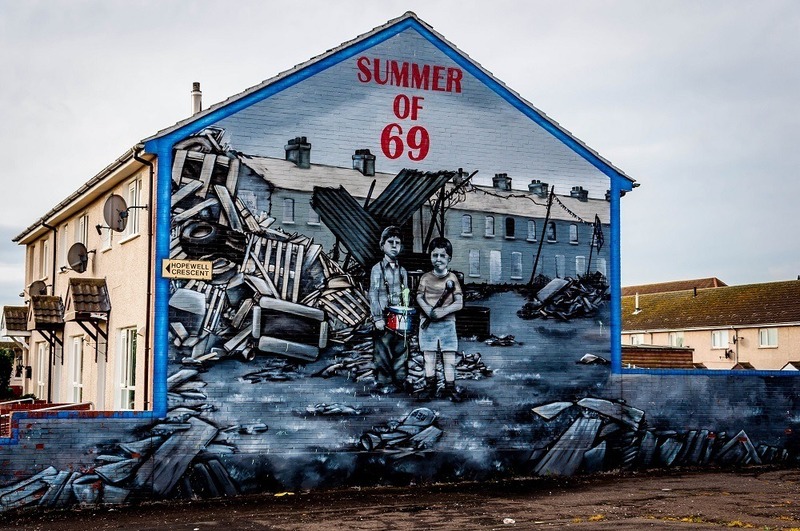 For more than 60 years, the Troubles have plagued Northern Ireland – an outgrowth of the century-long political conflict over the rule of the country. 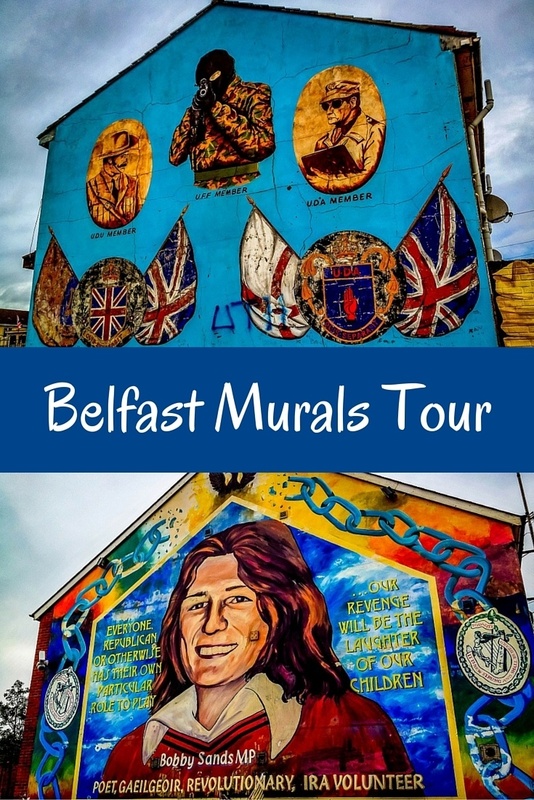 Thanks to pretty much every person with a travel show who’s set foot in Ireland, we had wanted to see the murals of Belfast and Derry for years. 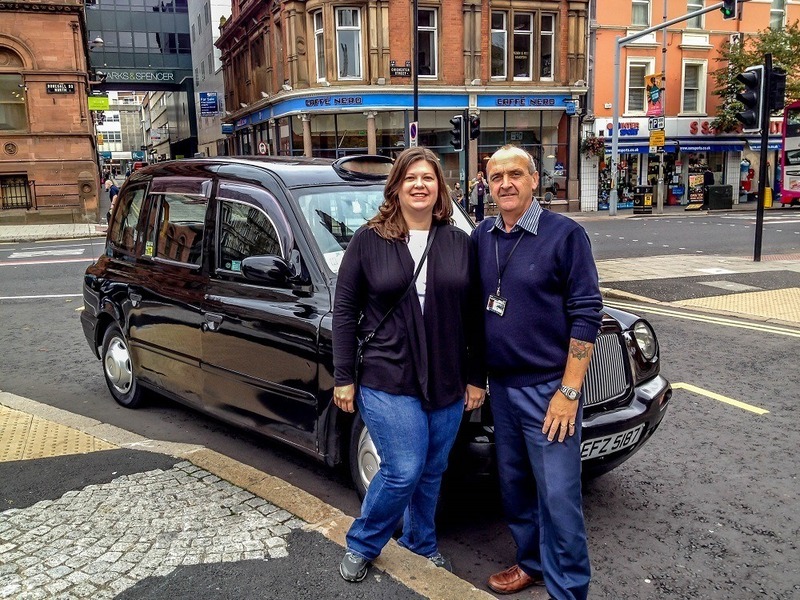 So around 10am on our first morning in Belfast, we piled in to the black cab with Paddy Campbell himself (of Paddy Campbell’s Belfast Famous Black Cab Tours) as our tour guide for our 2-hour drive around the Belfast murals. We quickly learned that we had a lot of incorrect information about these colorful pieces of art history. Our first stop was The Shankill Road that runs through a mostly Loyalist working-class area. As we approached the first group of murals, the loyalty to the Crown was obvious. 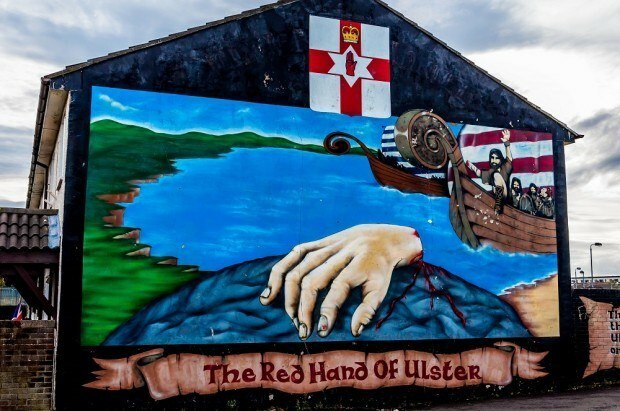 Somehow before we arrived at this stop, I had always thought the murals were meant primarily to memorialize and tell the story of the rebels who wanted Northern Ireland to join its neighbor to the south. I was clearly wrong. The second surprise came when we noticed the murals were painted on the ends of row homes and complexes. I hadn’t given much thought to the buildings before, but I wasn’t expecting to see martyrs memorialized next to where children play. 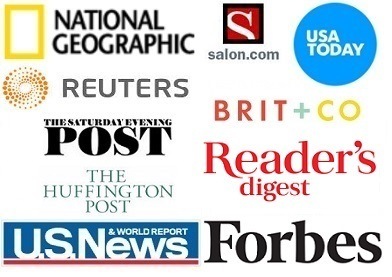 I guess there were a few aspects those TV hosts didn’t cover. Information fail #3 came when we realized that the murals get painted over. A lot. Because I’d seen certain Belfast murals over and over, I assumed they were basically permanent. In fact, some change quite frequently, especially when change is made in the name of peace. 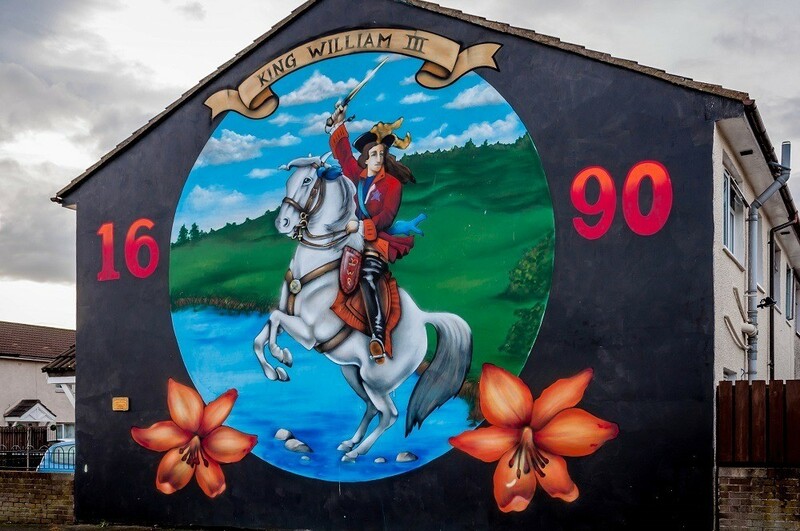 In 2011, one of the more famous murals showing Oliver Cromwell, an English military and political leader, was painted over. 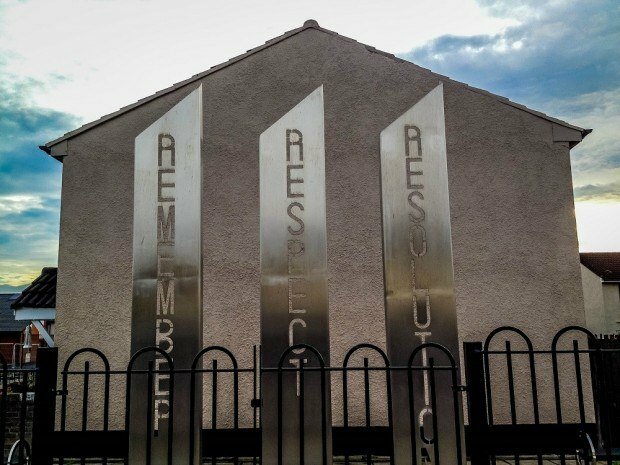 In its place, the Arts Council of Northern Ireland built a memorial with three critical words — Remember, Respect, Resolution. 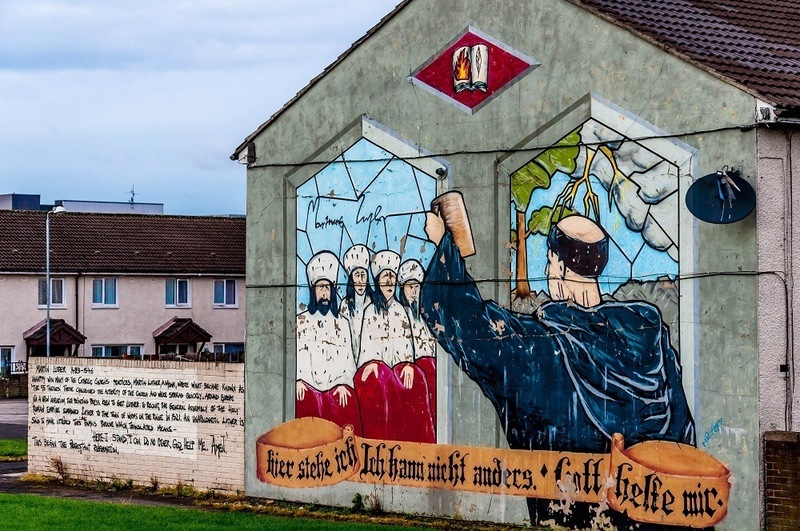 A little further from the Shankill in the Hopewell Crescent is other evidence of re-imaging — a mural showing Martin Luther and the origins of Protestant religion. 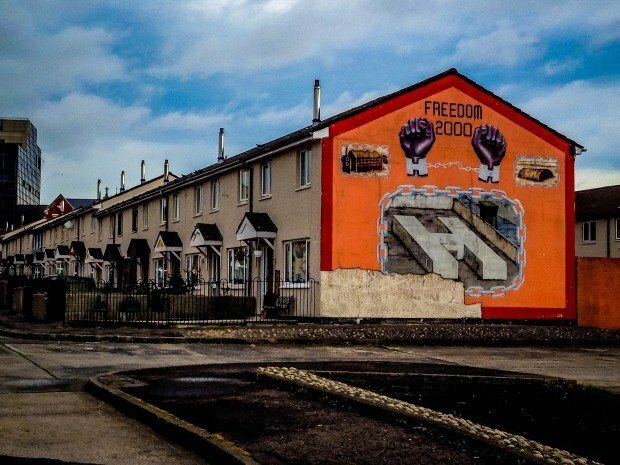 It’s one of many Belfast murals by the Reimagining Community initiative, which aims to promote more peaceful murals in working-class areas. 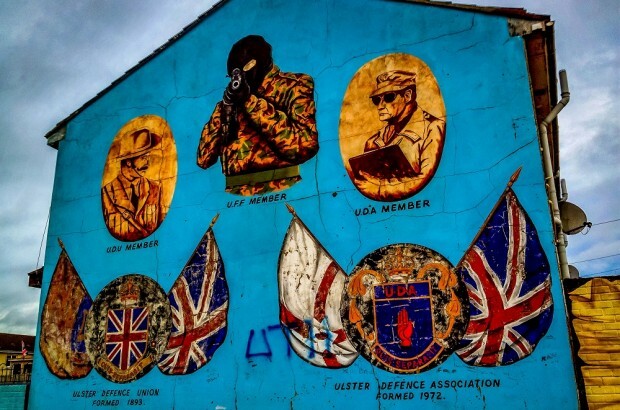 As we wound our way through town on our black cab tour of Belfast, we encountered a number of other murals with different political slants. 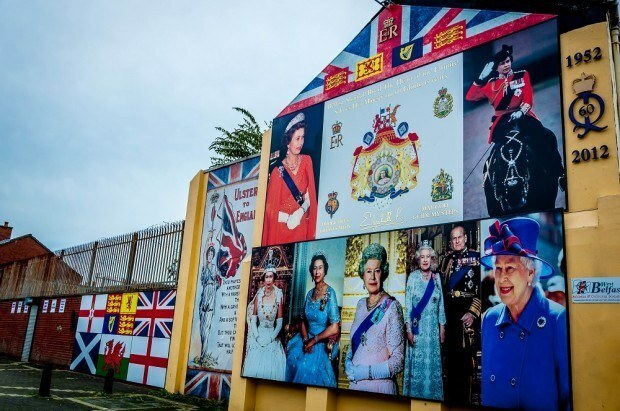 Not every mural showing people was a memorial, but this one of Queen Elizabeth II was no less political. 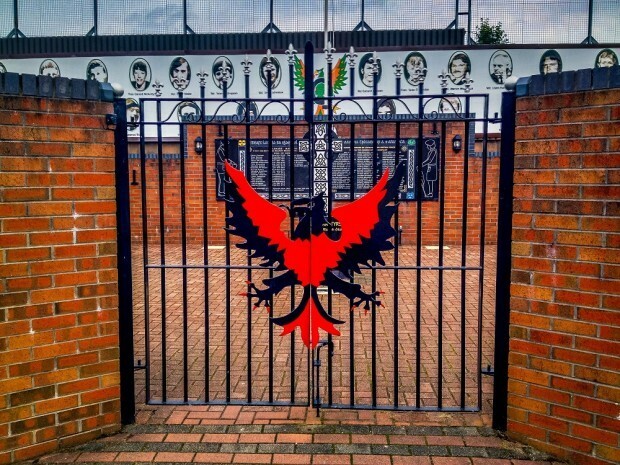 We drove to the other side of town to the Clonard Martyrs Memorial Garden. There, Paddy showed us some of the rubber bullets that have been used on protesters. I was stunned. I’ve always thought of rubber bullets as small, relatively harmless, and meant to scatter the crowd — a bit like paint ball. 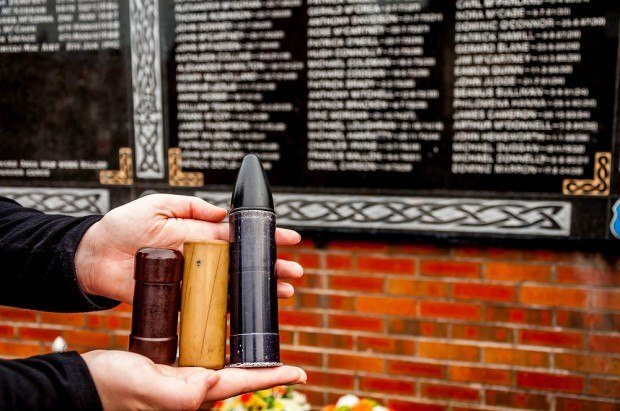 But it’s easy to see how these huge bullets could kill. 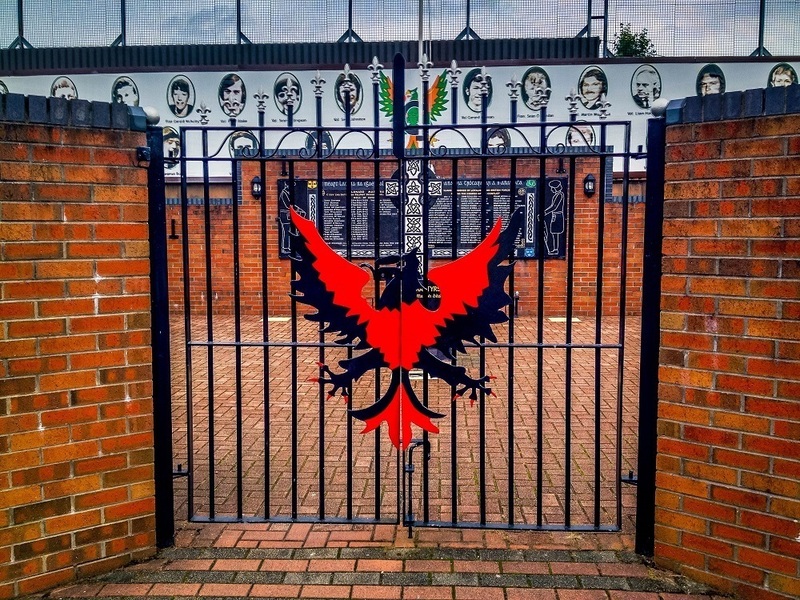 There are also barriers erected to prevent items being thrown over into the memorial garden. 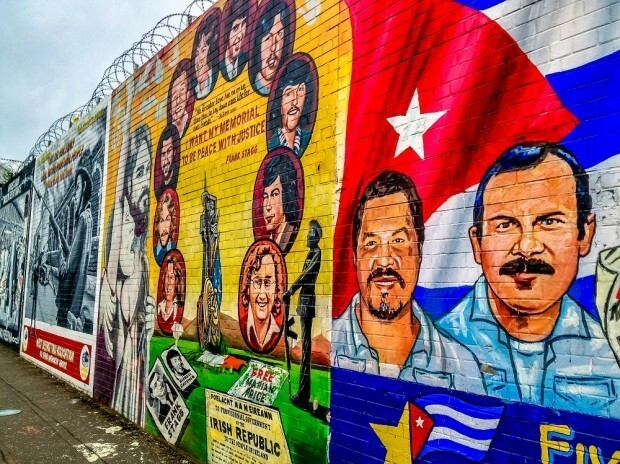 The end of our black cab tour took us to the Falls Road and one of the most famous Belfast murals. 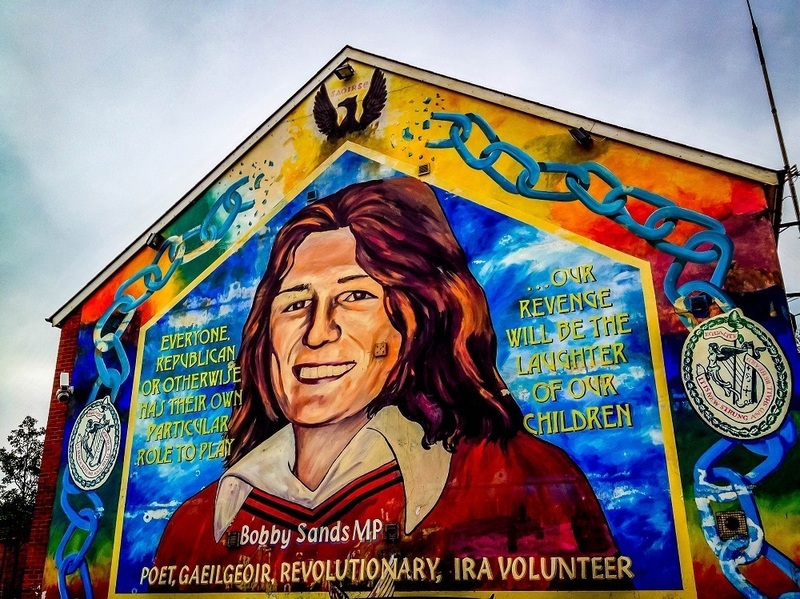 Bobby Sands was a member of the Provisional Irish Republican Army (IRA) who died in prison after going on a hunger strike in 1981. He was a prolific writer and activist whose death led to widespread protests. Adjacent to the Sands mural is the ever-changing International Wall, bringing attention to the issues of political groups and prisoners around the world. After talking for several hours about unimaginable violence and people on both sides of the conflict living in fear in their own communities, the tour ended on a upbeat note. 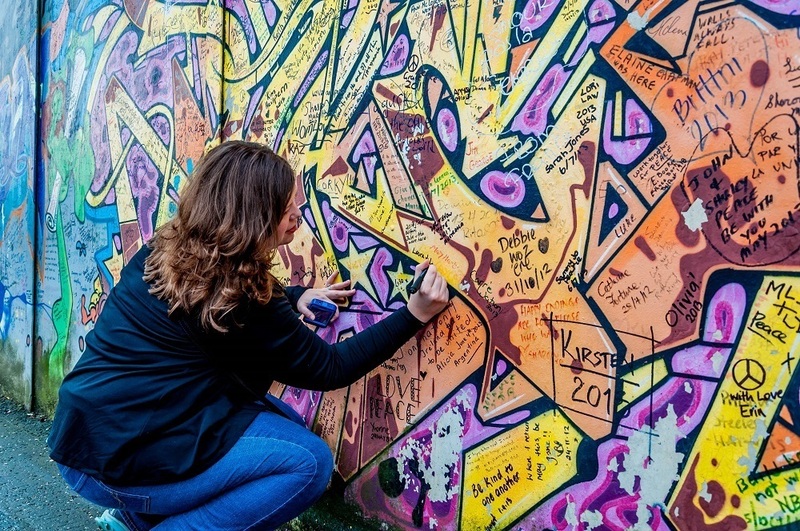 Although the situation is not fully resolved in Northern Ireland, there is a tenuous peace, as symbolized by the Peace Wall. We had the opportunity to add our signature to thousands of others made by people who hope for continued peace in the area. What do you think about A Black Cab Tour of the Belfast Murals? I’ve been to the UK three times, but have not visited Northern Island. My knowledge of that nation is really weak. My first visit to England was just weeks after the Good Friday Agreement and I remember it dominating the news. This is absolutely fascinating. Found you on Google+ and so glad that I did! Very much enjoyed! Looks like a lot of us have Ireland on the brian this month with St. Paddy’s approaching. I saw this tour featured on one of Anthony Bourdain’s shows when we went. It’s amazing how this conflict persisted on into recent history. Even strolling through a book shop in Dublin, while they were considering eliminating the senate (Seanad Éireann) I heard the clerk and a patron discuss the blood shed over the years. 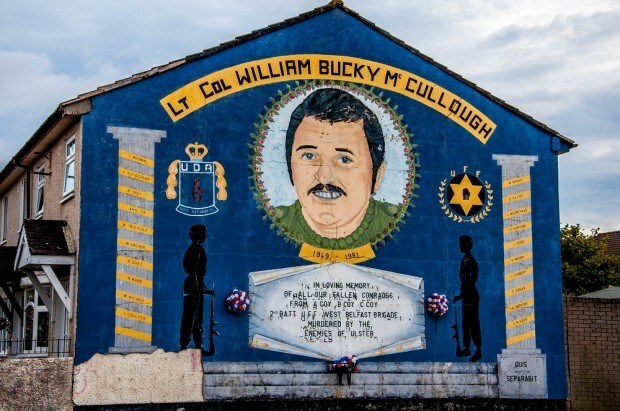 “So much blood has been spilt on Irish soil” or something in the regard. They way they spoke, even about their tumultuous history is elegant and poignant. It’s a beautiful and yet complicated country. And I was thinking this is an Uber commercial 🙂 Great pictures from Belfast! Btw just followed you on Twitter. Like your site! Looking forward to connect! This is fascinating. Really cool — I’ve never heard about this before! Great photos! I took some photos many years ago of the murals but got yelled at a couple of times by the locals. Did you make it to Bobby Sands grave? Raymond, no we didn’t. Sounds like a good thing to put on our list for next time. go to Crimlin Goal on next trip as well – amazing experience!! Thanks for the recommendation. We considered it but ended up heading north to Antrim later in the day instead. 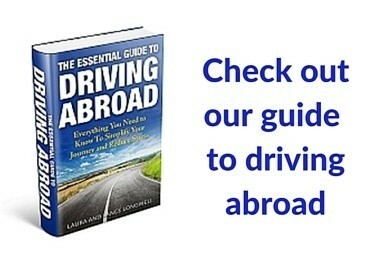 Always good to have goals for the next trip! We can’t believe the size of those rubber bullets! Yikes! The wall murals reminds us of what we saw on the wall separating Israel and Palestine at the West Bank. Aren’t they huge? We were really surprised. Never been to Israel, but we’d like to go. I imagine the feeling would be a bit similar — so much sadness and loss of life. I remember doing this in Belfast on my first visit there in 2003 but am wishing I went back to see it again last year now that I comprehend the troubles a bit better than I did in college. Those ‘bullets’ are intense, a story unto themselves. A very powerful collection. I was stunned by the bullets. Not at all what I had thought. 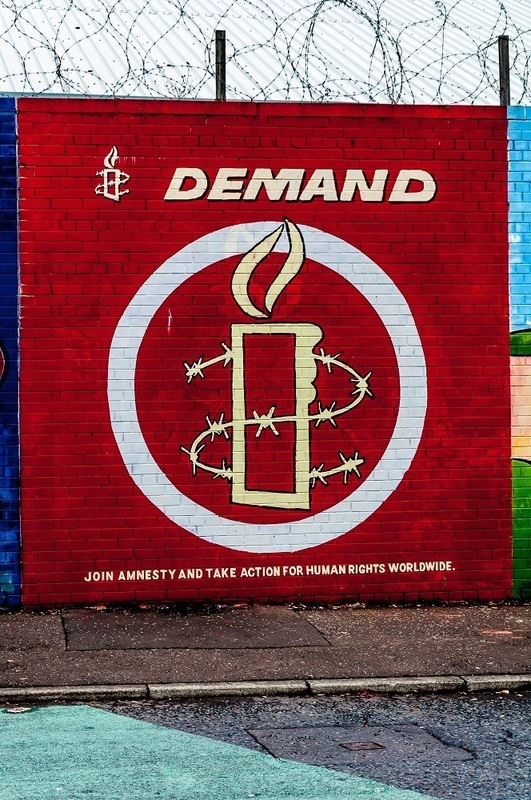 There are hundreds of murals in Belfast and many are regularly painted over with new artwork, as we said in the article. It would be an unusual choice not to travel somewhere or not to have an amazing experience like this because you’d seen a photo or read about it online.